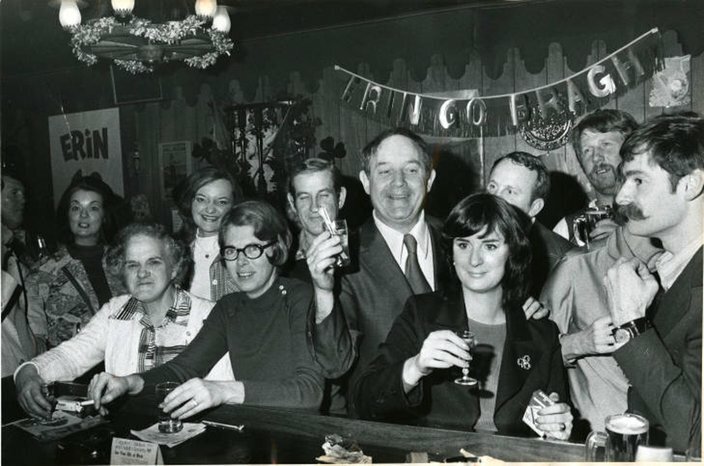 Bill Pawliczek, Harp Carvel, John Caulfield, Kathie Doyle, Frank Byrne and Kevin Cain, (from left to right) enjoy a bit of green beer at Cavanaugh's at 3122 Market St. in West Philadelphia, March 17, 1978. Philadelphia has celebrated the Irish culture since the pre-Revolutionary War times, with the number of Irish immigrants growing in the city throughout the 1700s. One of the largest public displays of celebration today is a parade that occurs on the Sunday before St. Patrick’s Day each year in Center City. 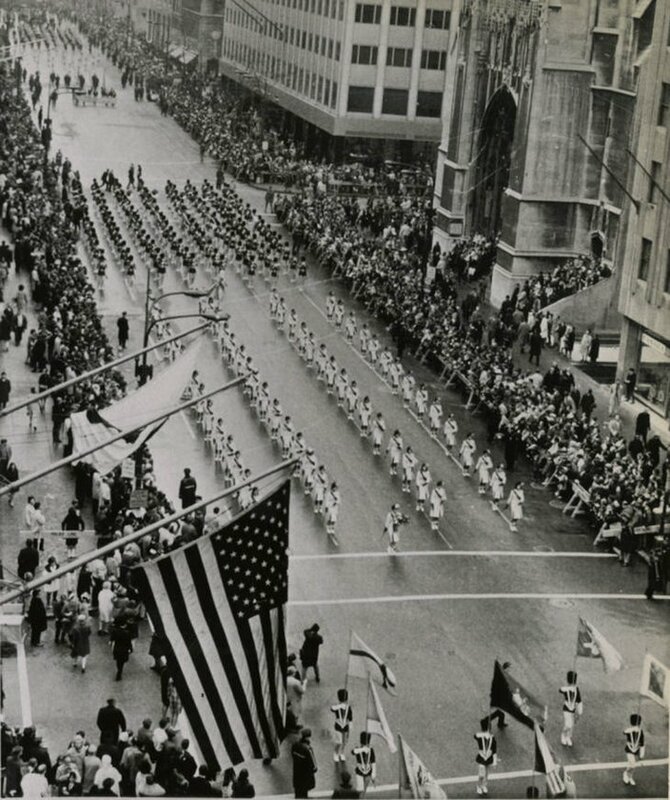 The parade dates back to in 1771, and was celebrated last Sunday, March 10, for the 249th year. It's the nation’s second-oldest and features more than 20,000 participants representing more than 200 groups. 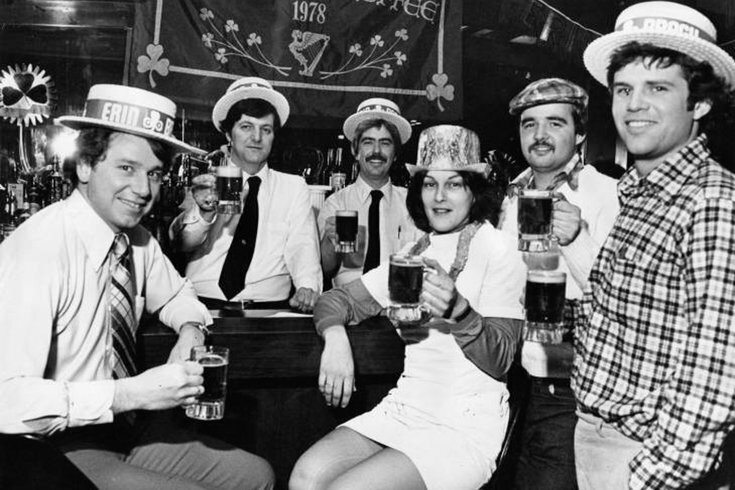 Here are some photos that show Philadelphians celebrating throughout the past 50 years. 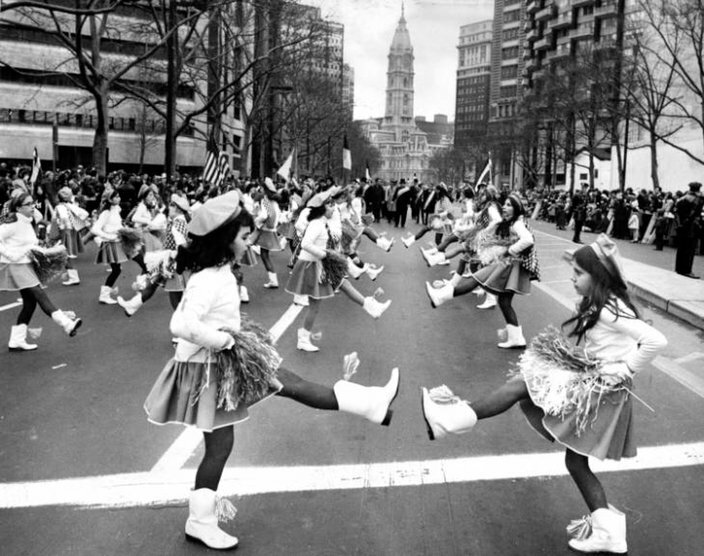 The Irish Jig is performed by the junior drill team of St. Monica's Roman Catholic School, in the St. Patrick’s Day parade, March 12, 1972. Emmett's Place on Levick St. in the Crescentville section of Philadelphia, March 17, 1976. 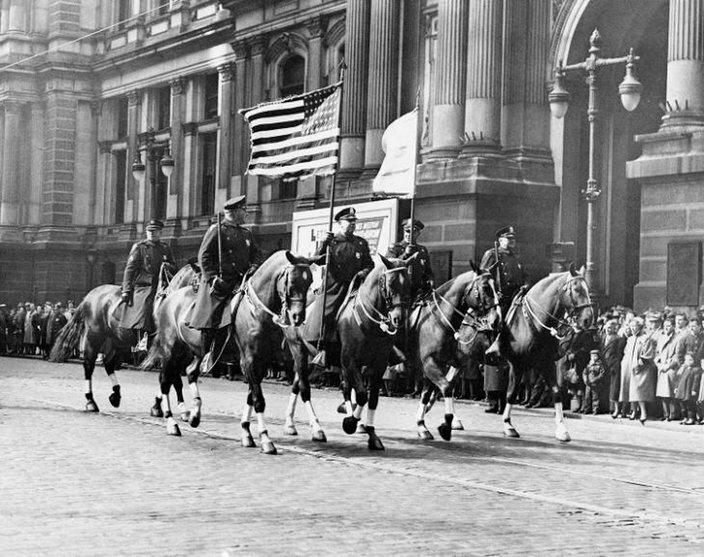 Philadelphia mounted police leading the St Patrick's Day parade near City Hall, April 10, 1954. 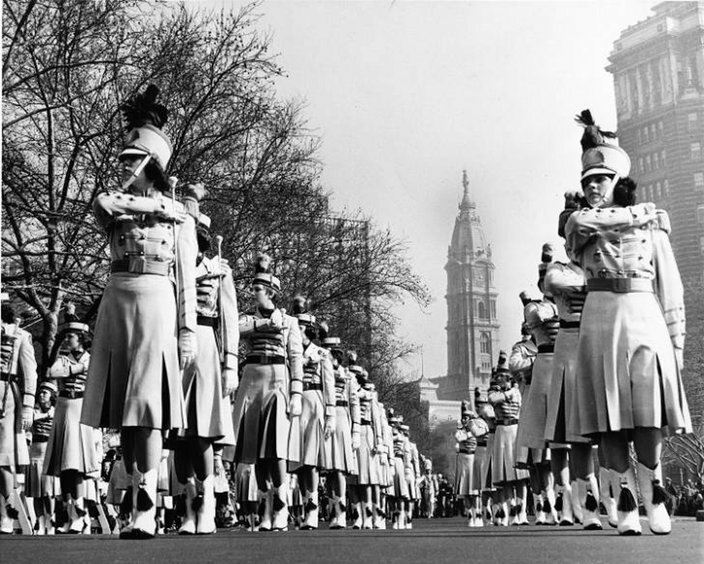 Cardinal Dougherty High School students march in Philadelphia's St. Patrick's Day parade on the Benjamin Franklin Parkway, March 17, 1973. 100 new buses in service on Saint Patrick's day. 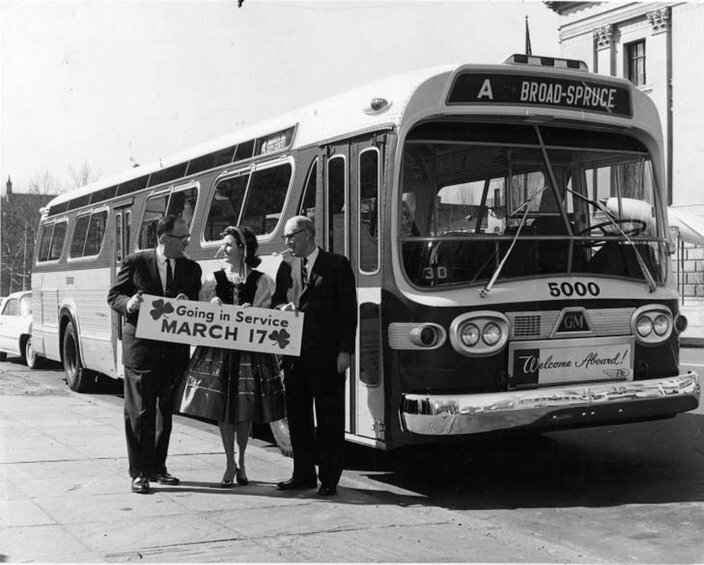 Erin O'Grady stands between Vice President of Transportation Robert H. Dalgleish and Executive Vice President of Operations Albert G. Lyons to celebrate the occasion, March 15, 1963. Cardinal Dougherty High School students marched in New York's St. Patrick's Day parade on Fifth Avenue. March 16, 1968.